Pre-order now for October 2019 publication and shipping. The first 250 copies of A Pictorial History of Universal Monsters Volume Two are signed by authors Nige Burton and Jamie Jones, and come with a FREE art print! We celebrate Universal’s second age of horror movies with A Pictorial History of Universal Monsters Volume Two: The Forties and Fifties – a stunning journey through the evolution of the classic horror motion picture. As the movie industry evolved, Universal altered its movie output accordingly. A changing world meant there were new stories to tell, and the second age of Universal monsters combined all-new stories with some beloved classic characters. 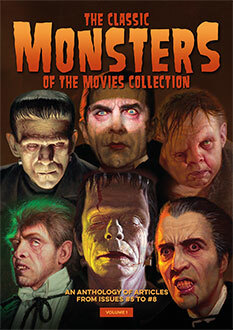 What emerged was a set of motion pictures which gave audiences new monsters, new chills and new adventures. 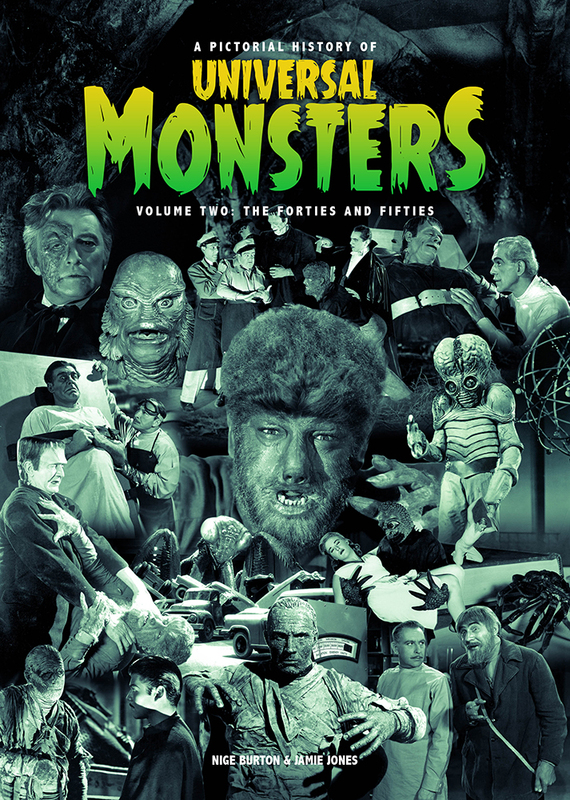 Following on the from the phenomenal success of our first volume, Classic Monsters present A Pictorial History of Universal Monsters Volume Two: The Forties and Fifties. This luxurious full-colour signed horror movie volume explores the creative leaps made by Universal, telling the story of the studio’s growth through the movies that dazzled audiences. A wealth of imagery and information immerses you in worlds of mystery and horror, from iconic classics such as The Wolf Man (1941) to the new frontiers of science fiction with This Island Earth (1955) among many other much-loved films. This beautiful signed Universal horror movie guide maintains the high standard of the first volume, combining pristine image restoration and reproduction with warm and insightful chapters leading you through the story of the Universal horror movie. Stills and poster art alike burst with clarity and detail, making this title an absolute must for your collection as you rediscover forgotten favourites and learn about the lesser-known pieces of cinematic artistry that made Universal such a powerhouse in Hollywood. A Pictorial History of Universal Monsters Volume Two: The Forties and Fifties captures the mood of excitement and creativity that shaped the second age of monster movies. This prestigious signed title is printed in a perfect square bound format, with a matt laminated cover enriched with shimmering gloss highlights, making it the perfect continuation from Volume One and a sensational addition to your library of Classic Monsters guides. 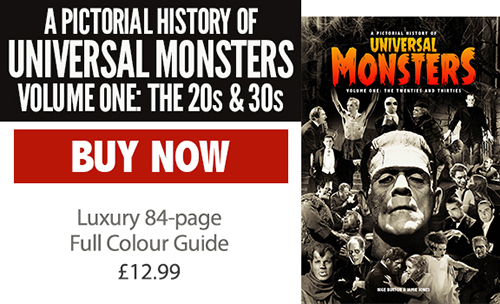 The first 250 copies of A Pictorial History of Universal Monsters Volume Two: The Forties and Fifties are signed by both authors and numbered, with a beautiful accompanying art print that honours the iconic stars of Universal horror’s second golden age. Prefer the unsigned edition without an art print? Click here to view the regular version.